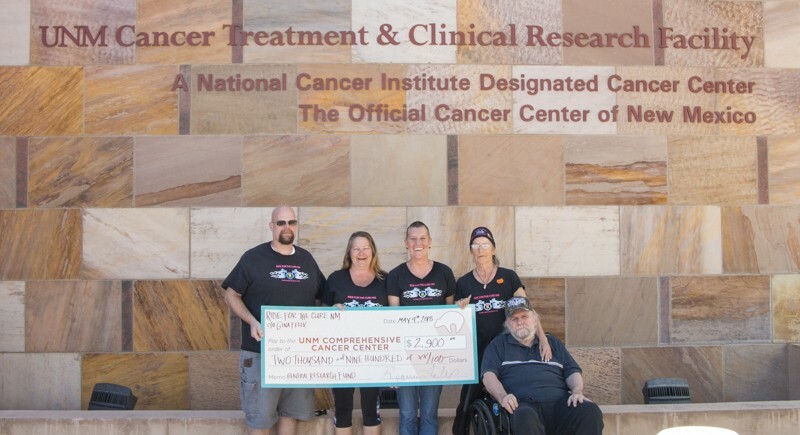 ‘Ride for the Cure New Mexico’ presents the $2,900 they raised from their motorcycle event to The University of New Mexico Comprehensive Cancer Center. The event took place on March 24 and included children’s activities and a ‘cut-a-thon’ in which people could donate their hair. 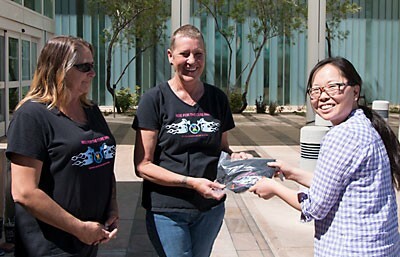 Pictured from left to right are: Kevin Campbell; Tammy Seck; Gina Felix, RftCNM President who donated her hair at the event; Anita Newall; and Stewart Newall.